As I mentioned in this post, I received a complimentary pair of Feetures! socks when I attended a Tuesday night run at Marathon Sports. All attendees were given a pair of the Merino+ Ultra Light Quarter sock. I wore the socks to work the day following the run since I couldn’t wait to try them out. They were super soft and appeared as though they would be warm, so I figured what better way to find out than to wear them to my office, where my toes are often cold. These socks did not disappoint. 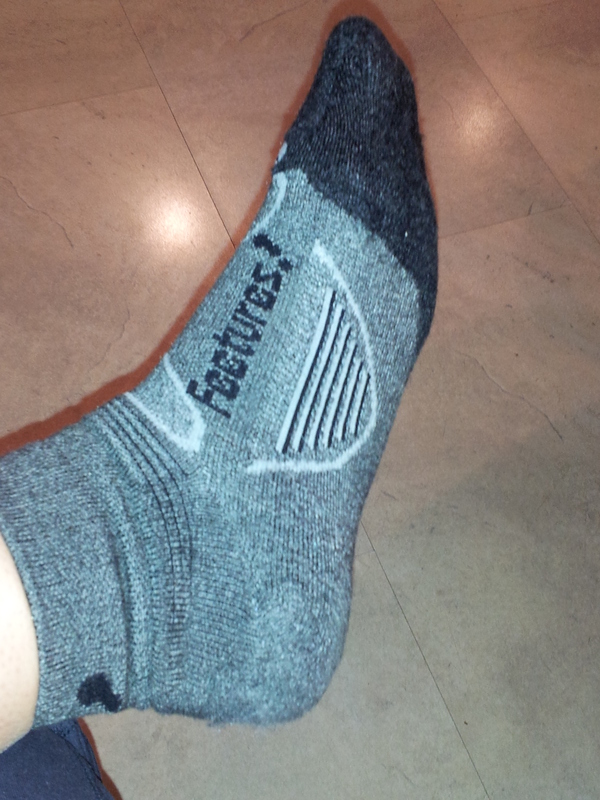 I wore them with thin athletic shoes (Skechers GoRun2) and my toes stayed toasty throughout my inactive, desk job day. A few days later, and after a washing, it was time to try the socks out for a run. I wore them for a three-mile run on the treadmill and was pleased that I had no issues with rubbing, bunching or slipping. They were every bit as comfortable as my usual running socks and although warm, not overly hot. I have yet to try them for an outdoor run, but I have a feeling they will be perfect for winter running; toasty warm but not too hot. As I mentioned, I already put them through the wash once and they held up great. I never even considered the fact that they’re a wool blend and therefore could possibly shrink, so I washed them with my other socks – cold wash cycle followed by low heat in the dryer. My pair appeared to have minimal shrinking and stretched to the correct size the next time I wore them. However, I tend to prefer a slightly snug sock, so you may want to follow other washing methods. These socks retail for $14.99 on the Feetures! website and I would personally find that an acceptable price point for these socks. They are very comfortable, warm, and seem to be of a high quality. Also, I love that they’re marked to differentiate the right and left! I would definitely recommend these socks. They would be a great gift for the runner on your Christmas list! Disclaimer: I received a complimentary pair of socks as an attendee of a sponsored running event. 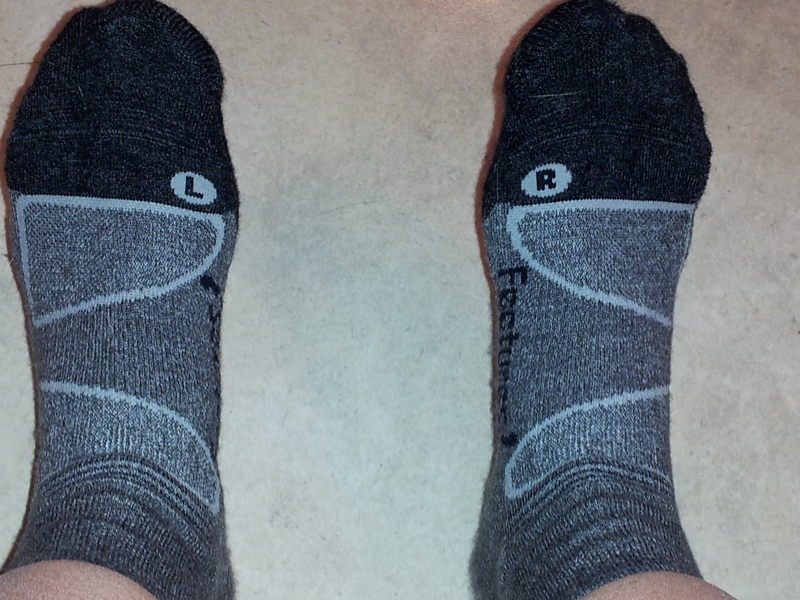 I was not asked to review these socks nor was I compensated in any way. All opinions are my own honest thoughts.